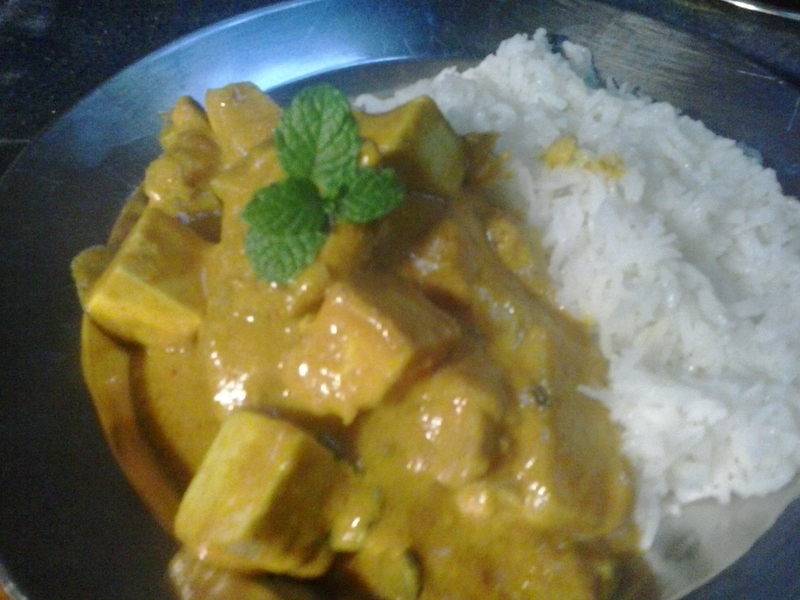 This is a Pork and Tofu curry. It was made with the best curry paste I have made in a long time. Not sure what made the paste so good other than I added a couple of new ingredients to the mix. 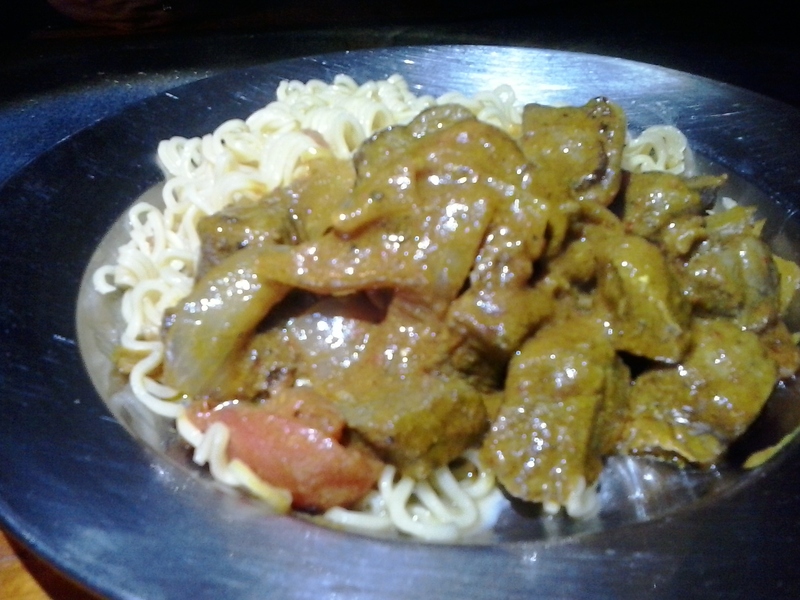 It was my typical Vindaloo style paste with some extra cloves and star anise. It was damn fine what ever the reason. 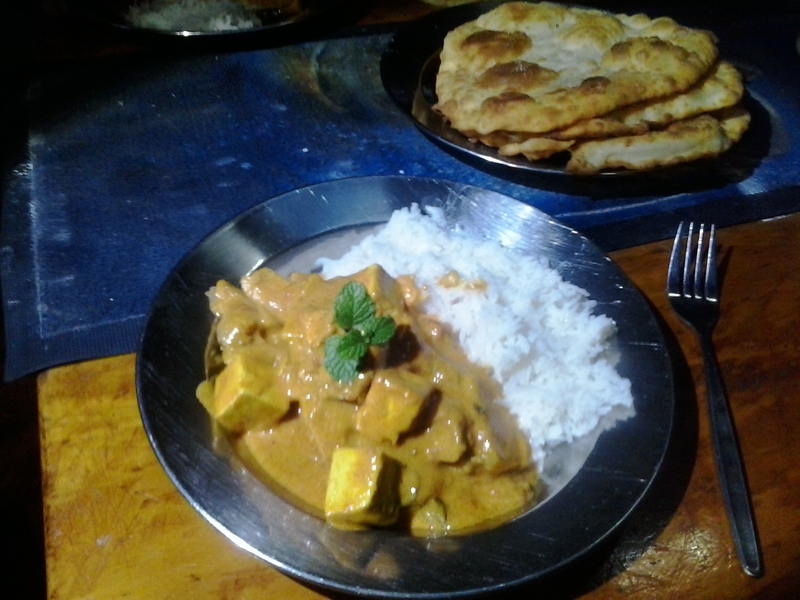 We had been at the night markets and not had dinner but then about 10pm I got a curry craving. 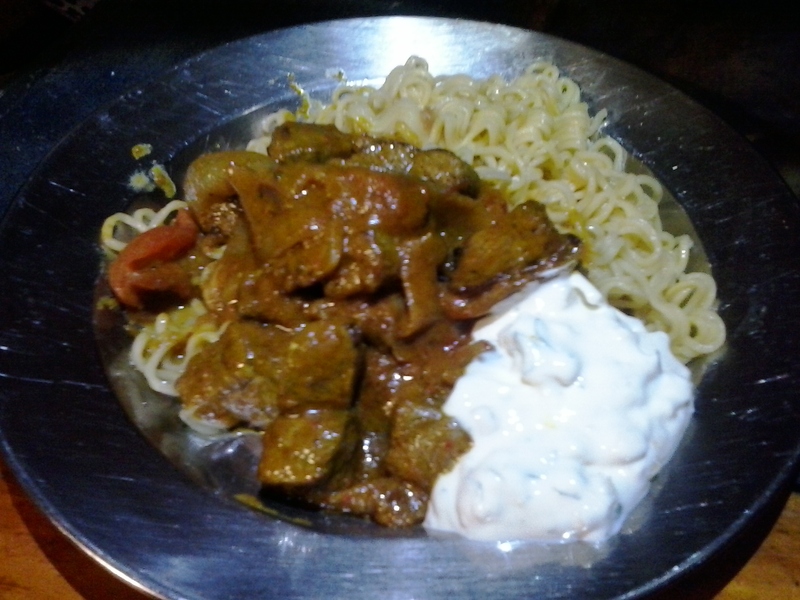 I had freshly made paste in the fridge and some nice rump steak so I did a beef, onion and tomato vindaloo. It was smoking hot as I added two heaped teaspoons of extra hot cayenne powder to my already potent paste. By ten thirty I had cured my craving and raised my metabolism a few thousand points. It was cryingly hot and delicious.